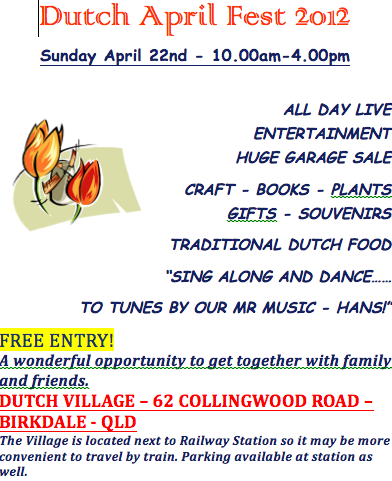 Is on Sunday 22nd April 2012 from 10am-4pm at Prins Willem Alexander Village, 62 Collingwood Road, Birkdale, Brisbane. 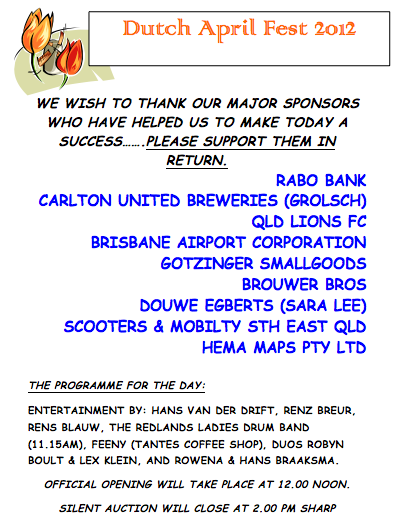 See the flyers below for more information on this fun family day out. See you there! You may like to look at photos from previous years and check back soon for 2012 photos.